High-utility itemset mining (HUIM) is a popular data mining task with applications in numerous domains. However, traditional HUIM algorithms often produce a very large set of high-utility itemsets (HUIs). As a result, analyzing HUIs can be very time consuming for users. Moreover, a large set of HUIs also makes HUIM algorithms less efficient in terms of execution time and memory consumption. To address this problem, closed high-utility itemsets (CHUIs), concise and lossless representations of all HUIs, were proposed recently. Although mining CHUIs is useful and desirable, it remains a computationally expensive task. This is because current algorithms often generate a huge number of candidate itemsets and are unable to prune the search space effectively. In this paper, we address these issues by proposing a novel algorithm called CLS-Miner. The proposed algorithm utilizes the utility-list structure to directly compute the utilities of itemsets without producing candidates. It also introduces three novel strategies to reduce the search space, namely chain-estimated utility co-occurrence pruning, lower branch pruning, and pruning by coverage. Moreover, an effective method for checking whether an itemset is a subset of another itemset is introduced to further reduce the time required for discovering CHUIs. 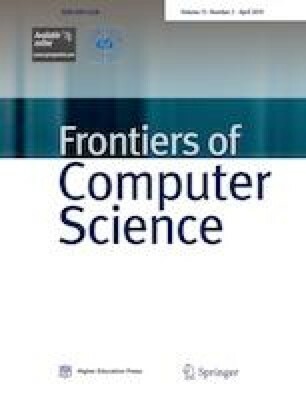 To evaluate the performance of the proposed algorithm and its novel strategies, extensive experiments have been conducted on six benchmark datasets having various characteristics. Results show that the proposed strategies are highly efficient and effective, that the proposed CLS-Miner algorithm outperforms the current state-of-the-art CHUD and CHUI-Miner algorithms, and that CLS-Miner scales linearly. Thu-Lan Dam received the BS and MS degrees in computer science from Hanoi University of Science and Technology, Vietnam in 2004 and 2009. She is currently working toward the PhD degree in computer science at College of Computer Science and Electronic Engineering, Hunan University, China. Her research interests are optimization, operational research, data mining and knowledge discovery. Kenli Li received the PhD degree in computer science from Huazhong University of Science and Technology, China in 2003. He was a visiting scholar at University of Illinois at Urbana Champaign, USA from 2004 to 2005. He is currently a full professor of computer science and technology at Hunan University, China, and deputy director of National Supercomputing Center in Changsha. His major research areas include parallel and distributed processing, cloud computing, scheduling algorithms, computer simulation, biological computing, and big data management. He has published more than 100 research papers in international conferences and journals such as IEEE-TC, IEEE-TPDS, JPDC, ICPP, CCGrid. He is an outstanding member of CCF. He is a member of the IEEE and serves on the editorial boards of IEEE Transactions on Computers. Philippe Fournier-Viger is a full professor at School of Natural Sciences and Humanities, Harbin Institute of Technology Shenzhen Graduate School, China. He received his PhD degree in cognitive computer science from the University of Quebec in Montreal, Canada in 2010. He has published more than 85 research papers in refereed international conferences and journals. His research interests include data mining, pattern mining, text mining, intelligent tutoring systems, knowledge representation and cognitive modeling. He is the founder of the popular SPMF open-source data mining library. Quang-Huy Duong received the MS degree in computer science from Hunan University, China in 2016. He is currently working toward the PhD degree in computer science at the Faculty of Information Technology, Mathematics and Electrical Engineering, Norwegian University of Science and Technology, Norway. His research interests are optimization, data stream mining and bioinformatics. Supplementary material is available for this article at https://doi.org/10.1007/s11704-016-6245-4 and is accessible for authorized users. The research was funded by the National Natural Science Foundation of China (Grant Nos. 61133005, 61432005, 61370095, 61472124, 61202109, and 61472126), and the International Science and Technology Cooperation Program of China (2015DFA11240 and 2014DFBS0010). T.-L. Dam was also partially supported by the science research fund of Hanoi University of Industry, Hanoi, Vietnam.